For those travelers looking for a little more structure and the comfort of knowledgeable guides, our escorted tours of the major European Music Festivals will offer the value you deserve. For the most unique experience available, visit our Festival of Classical Music page. 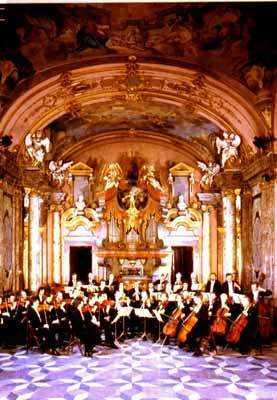 It combines the European experience with a luxury cruise and beautiful music all in one. If you belong to any music affiliation, we are glad to customize the music tour of your dreams in any European country with tickets to performances, visits to houses of famous composers and any other sites of musical experience. Please contact us for quotes. As a group organizer you can travel free of charge.